If you are reading this, you are obviously dedicated to providing your pet with the very best in life. Great toys, adequate exercise, plenty of love, affection, and great food. These things are great, and pets thrive on them. However, there is one thing missing from this list: a dietary supplement. There are many ways that a good supplement can help benefit your pet. Even the best food doesn’t always have everything your pet needs to look and feel better. If you haven’t started providing a daily pet supplement to your pet, the following information may change your mind. As pets age, their bones and joints age as well. While some joint soreness and stiffness can be the result of physical wear, most joint and bone complications can be due to age, dietary considerations and breed considerations. There are supplements that are targeted to helping your pet’s joints and bones stay strong and healthy and reduce irritation in these areas. Choose a supplement with glucosamine for even better results for your pet’s bone and joint health. Most pets like to work hard and play harder. 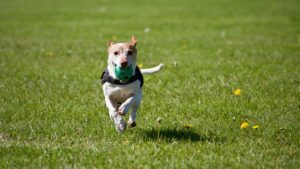 Sometimes they can over-exert a muscle, tendon or ligament just from running through the pet park or twisting to catch a frisbee. And again, as your pet ages, his muscles and related tissues will lose elasticity and can cause issues. This can lead to a lack of interest in fun activities, such as walks and a rousing game of fetch. A high quality supplement will help keep your pet’s soft tissues healthy and supple. You most likely realize that a lower-quality, inexpensive food can make your pet’s skin and coat dry, dull and brittle. A better food, especially those that are grain free, can help reduce shedding, and help make your pet’s coat soft and fluffy. If you are curious as to whether you are feeding your pet a high-quality food, visit https://www.dogfoodadvisor.com. However, keep in mind that even the best pet food usually doesn’t contain the right levels of all the vitamins and nutrients your pet needs to have the best quality of life. 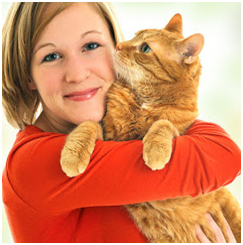 A nutritional supplement will help close the gap and give your pet everything he needs. As pets age, their vision can be reduced and their eyes can become cloudy. Their hearing may not be as strong as it was during their puppyhood. And wear on the teeth, as well as routine decay, can cause problems and make it difficult for your pet to even chew his kibble. A dietary supplement can help your pet’s eyes, ears and teeth stay healthy well into his senior years. Choose a supplement that is formulated to target these areas. Your pet could have clear vision, sharp hearing and healthy, strong teeth well into his golden years if you add a high quality supplement to his diet. 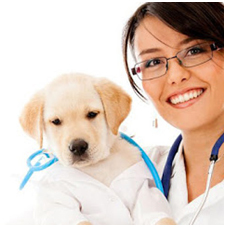 Just as with humans, an ounce of pre-pet prevention is worth a pound of veterinary cure. When you add a high quality supplement to your pet’s daily diet, it will help ensure that he stays healthy and has fewer trips to the veterinarian to diagnose and help with health problems that could have been prevented. The cost of a quality nutritional supplement is much less than vet bills that can occur to help problems that can be attributed to nutritional deficiencies. If you haven’t thought about a supplement yet, you may be overwhelmed by all of the choices that are out there. It is important to do your homework before purchasing a supplement, and choose the right supplement for the specific health needs of your pet. Check the ingredients list, first and foremost. Then look for unbiased, third-party reviews of the product from pet parents just like you. And finally, compare prices if you are on a budget. But remember that price isn’t everything; you shouldn’t sacrifice your pet’s health to save money. One of the best supplements on the market is NuVet Plus. This supplement is made of the best ingredients, and all ingredients in NuVet Plus are human grade, so your fur baby is getting the very best quality possible. NuVet Plus has changed the lives of many pets, and not only is the supplement well-crafted, it is also affordable for pet parents of any income level. For more information on NuVet Plus, visit our website. You can check out the list of ingredients and see unbiased testimonials from actual pet owners just like you. The site also has NuVet Labs reviews, so you can get a feel for the facility and staff that create our supplements. You can also read NuVet reviews and NuVet Plus reviews so you can check out the product. Once you discover all there is to know about NuVet Plus and NuJoint Plus, you can place an order on our secure site for the right supplement to meet your pet’s need. You owe it to your pet to provide the very best in nutrition, and NuVet Plus is dedicated to helping you do that. Pet owners are always searching for new and improved ways to help make their pets look beautiful, but the answer may be a lot simpler than anyone ever imagined. While some breeds do require grooming services, many pets will notice an improvement in their skin and coat when they enjoy a nutritious, well-balanced diet. It’s important to note that a pet’s nutritional requirements will not be met with pet food alone, and only a nutritional supplement such as NuVet Plus can fill in those gaps. NuVet Plus is expertly designed to contain all of the vitamins, nutrients, antioxidants and minerals a pet needs in order to be healthy, energized and beautiful all at the same time. How Does NuVet Plus Improve a Pet’s Skin and Coat? 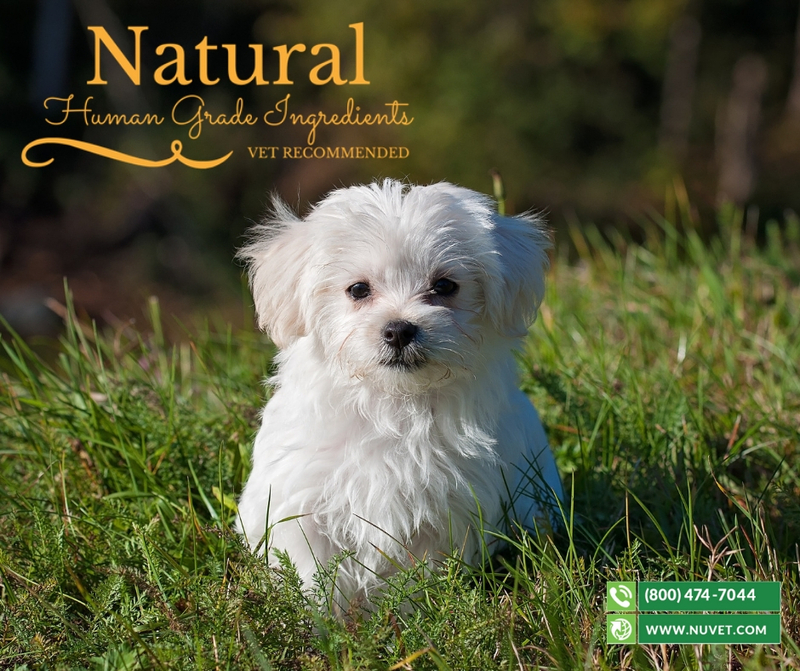 The NuVet Plus formula was created over the course of an 8-year period, and it contains the finest quality ingredients as well as the best nutrients for pets. 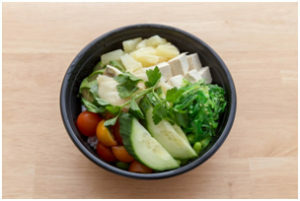 It is filled with amino acids that help body proteins with synthesis. Amino acids have been found to help prevent skin and coat problems from forming. One of the essential ingredients in this supplement for improving a pet’s skin and coat is beta carotene. Beta carotene converts to Vitamin A in the body, and it promotes the development of healthy skin cells. This helps your pet’s body defend itself against toxic microorganisms which can cause sensitivities. 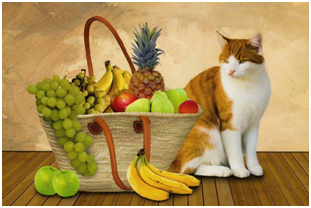 Potassium is included in this supplement, and it provides your pet with many benefits. While potassium is more commonly known for its heart health benefits, it also helps prevent your pet from suffering from dry skin. If your pet’s skin is too dry, it will resort to itching and scratching which can lead to more issues. NuVet Plus helps protect your pet’s skin and it helps improve the appearance and shine of your pet’s coat. But don’t just take our word for it, check out the NuVet Plus reviews page for more information on how this supplement product has improved the lives of pets across the country. Your pet’s immune system is the key to its overall health, which is why pet parents should make an extra effort to help develop their pet’s immune system and protect it throughout its lifetime. The immune system is responsible for fighting off toxins and free radicals, and will allow your pet to develop into a strong, healthy adult. NuVet Plus is a pet nutritional supplement that helps provide your beloved animal with the immune support it needs in order to live a long, healthy and energetic life. How Can NuVet Plus Help Strengthen a Pet’s Immune System? Its formula, which took 8 years to perfect, contains a variety of amino acids that are essential to supporting and enhancing the immune system. Some amino acids that are included in NuVet Plus will work to activate antioxidants within the body, ensuring that your pet can easily fight off free radicals. There are 28 different types of amino acids, each packing a powerful nutritional punch for your pet. NuVet Plus contains Blue Green Algae, which is pivotal to strengthening the immune system. Blue Green Algae is a chlorophyll source that provides benefits for the entire body, specifically promoting the development of a healthy, strong immune system. It promotes digestive health as well, which is important for your pet’s immune system. This supplement also contains a variety of antioxidants as well as ingredients that are designed to activate antioxidants in the body. Antioxidants ward off free radicals, ultimately boosting your pet’s immune system and giving it a better chance of fighting off issues throughout its lifetime. When your pet has a strong immune system, you will spend less time tending to a sick pet and more time enjoying those playful, fun moments together. Many people believe that the best thing they can do for their pet’s immune system is provide them with a high-quality food. While this is certainly beneficial, it will not meet all of your pet’s nutritional requirements and therefore will not give its immune system the strength it needs to be truly thrive. Check out the NuVet reviews page to see how this product has helped boost the immune systems of pets across the country. The NuVet Plus reviews page is designed to be an open and honest forum for pet parents who want to provide others with feedback and information about this powerful supplement. Some dog parents may shy away from the idea of a multivitamin supplement. There are many reasons for this: time, hassle, and cost. Some pet parents believe that dog food gives their dog everything they need to be healthy. So the question is, should your dog be taking a daily multivitamin supplement? The short answer is yes. The following information will help you decide whether to feed your dog a supplement, and if so, which one. The foundation of a proper diet for your best friend is a high-quality diet. Raw food and homemade diets are becoming increasingly popular among pet parents. However, many dog moms and dads don’t have the time to cook every meal for their dog, and some just are not interested in doing so. And there is nothing wrong with that. You should definitely choose a food formulated for dogs; cat food is too high in fat, and other pet foods just aren’t made for dogs. An organic food is great, and some experts recommend grain-free diets for dogs. No matter what food you choose for your pooch, you can visit https://www.dogfoodadvisor.com/ for reviews and ratings. Even the best dog food may be lack important vitamins, minerals or nutrients. Dog foods are formulated to meet the health needs of most of the dogs they serve; no dog food can please every dog and every owner. For this reason alone, it is important to add a supplement to your dog’s diet that picks up the slack and gives him what he needs. There are a lot of supplements on the market; the number of choices can be overwhelming, especially if you have never shopped for a supplement for your dog before. Always do your research before you settle on one product. Choose a supplement that has all of the vitamins and nutrients that your dog needs. The best supplements target skin, coat, joints, bones and muscles, as well as eyes, teeth and other aspects of your dog’s body. 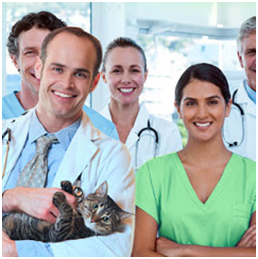 You can find recommendations online or from your vet. You should also check out reviews from other dog parents like yourself.